Having a healthy body is the desire of every person. One of the options for getting health is to eat fruits. The diversity of flavors and shapes of fruit make almost everyone likes to eat fruit. 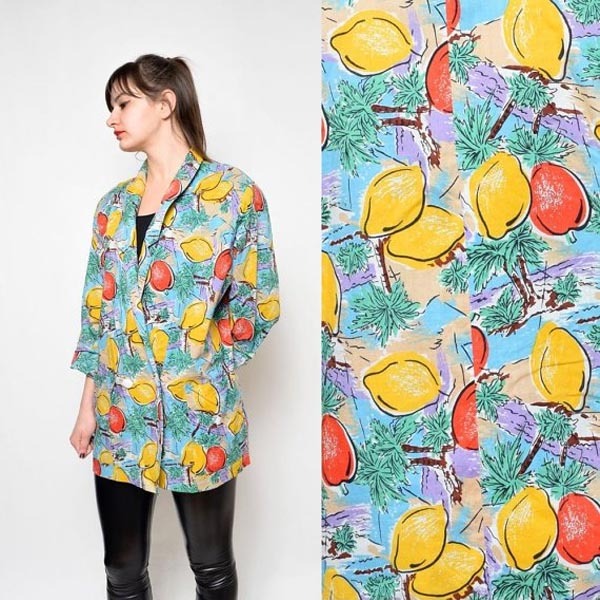 Apparently, in addition to healthy, fruit can be an inspiration for fashion designers to create new ideas. 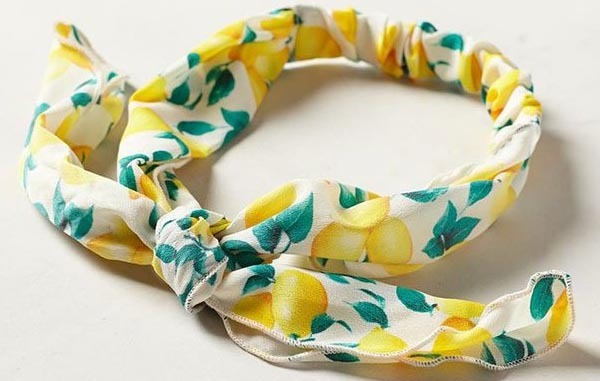 Many fashion designers make the fruit as a mainstay motif. Maybe you’ll want to immediately try to fashion with this cute motif. 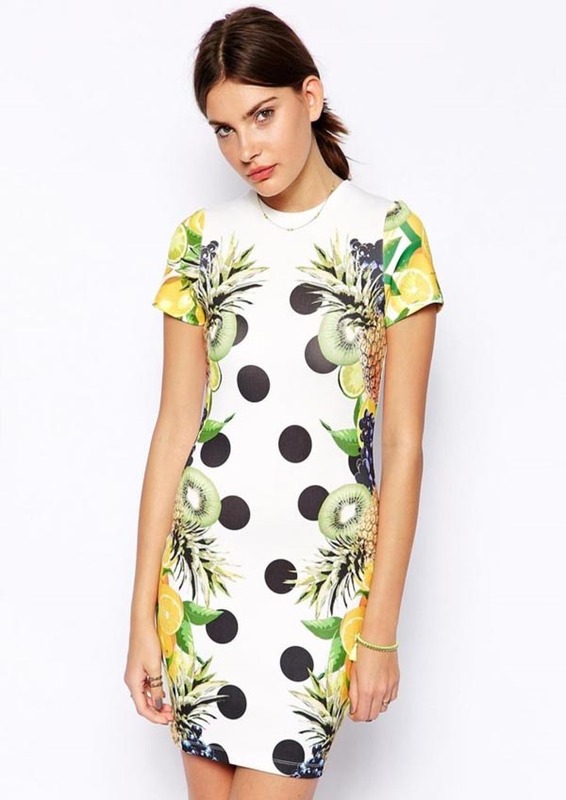 Are you curious that fruit is used as a motif? Read more below. Give the finishing touches on the crown with a headband. So do not look ordinary, headband like this deserve for you to try. Your hair will look so much healthier and fresh for anyone who look it. To protect your head and face from the sun, one option is to wear a hat. 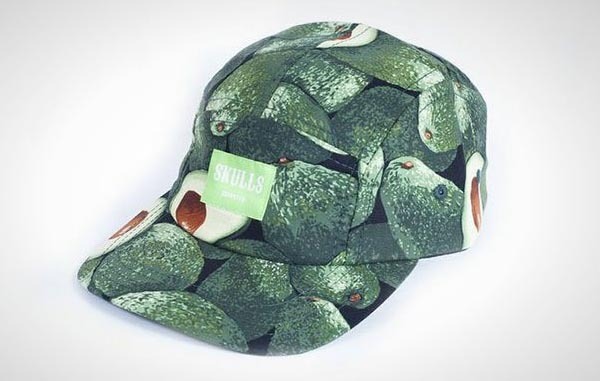 Would you wear this hat patterned avocado? The idea is worth a try. You will give a fresh aura to the people who are heat around you. Do not be afraid for trying new things. Shown with new things were also interesting. Instead of using plain color shirts, try to wear shirts with watermelon motif. The pink color of this motif will make you look more fresh. 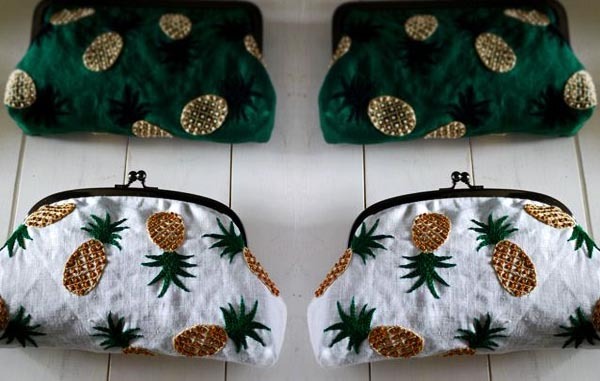 Rather than use a tote bag with model it-that’s all, why not try a unique bag? A new atmosphere and a new appearance will provide a positive aura for you. Pants is everyone’s favorite outfit. If you don’t wear a fabric pant, the choice is definitely jeans. Do not you get bored? 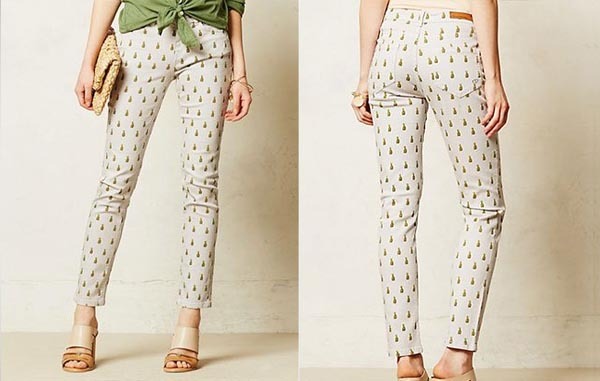 Try once in a while you wear fruit motif pants, pineapple for example. What changes would you feel? 6. Wallet with Pineapple Motif. 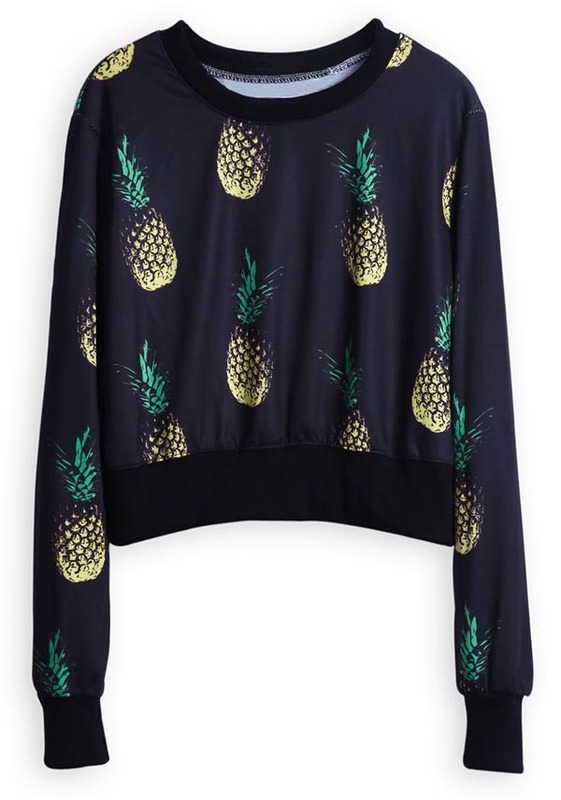 Pineapples will never fail for you. This motif is a simple and yellow colors which implies cheerfulness will make hardly wait to have this item. Who knows with these bright colors can be one moodbooster, so that your day more fun. Black socks? Many. White socks? Moreover, more and more. Preferably, these two color socks you save first. 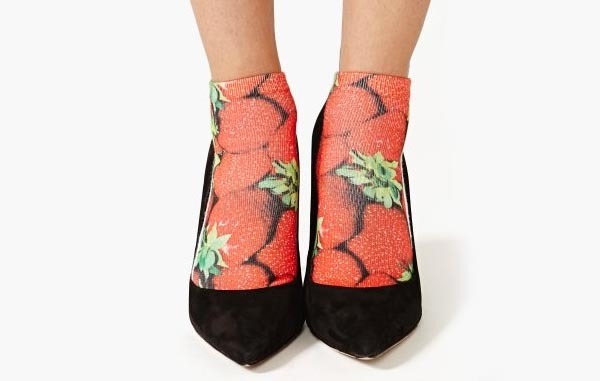 Try to occasionally wear socks filled with strawberries? Make you linger to see your own socks and imagine strawberries in the refrigerator. The weather was not erratic lately, you should always make full preparations. As a precaution bring sweater, girls, who knows a sudden rain and the weather turns cold. Bring this sweater to your collection. Outfit this one is very attractive look and you will not want to take it off. Want more daring to be different? 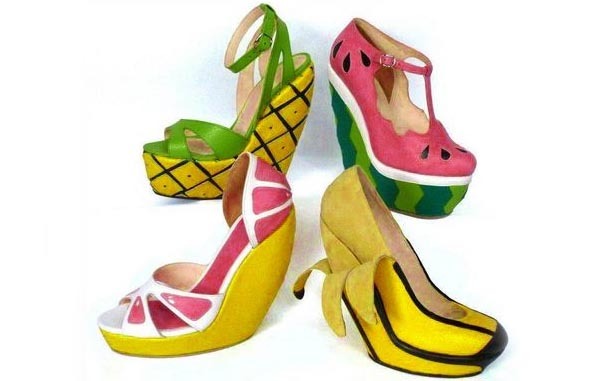 Shoes that resembles the fruit is ready to be your new best friend. With a shape that is almost like the shape of the original fruits such as pineapple, watermelon, oranges, and bananas, will make you look different and attractive. 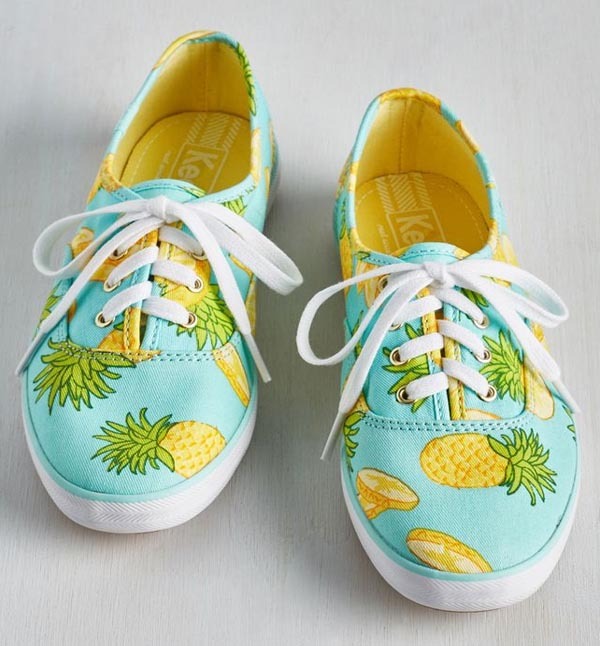 To support your activities that require high mobility, you can try to wear shoes with a pineapple motif. Comfortable, soft and fresh. In order to improve your fashion style but want to keep wearing a skirt, you should have a new inspiration. One of them is fruit motif skirt. It needs to be different, girls. Do you assume this bag outdated? Sure? 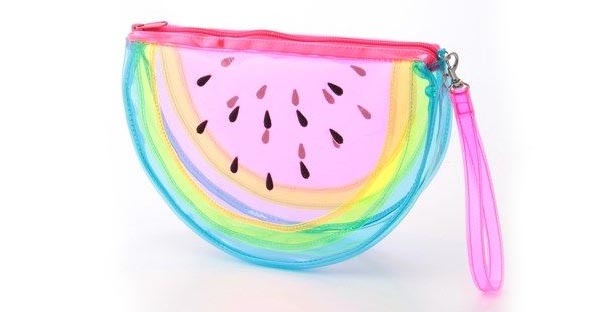 This watermelon bag will not outdated. 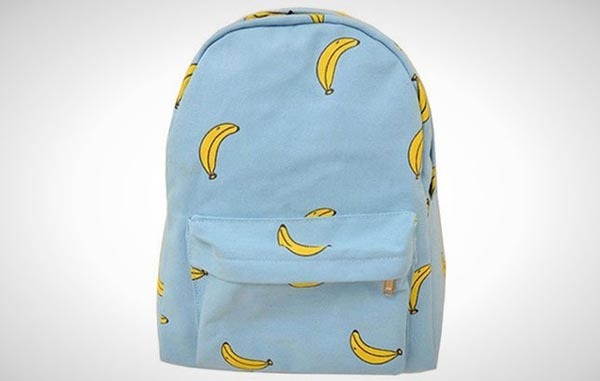 The color is not too flashy as to demand you immediately to use these bags. Watermelon seed color and shape similar to the original this will make you look funny and cute. It’s about time you started wearing analog wristwatch again. The advantages of a digital wriswatch are many kinds of background, so you do not get bored quickly. 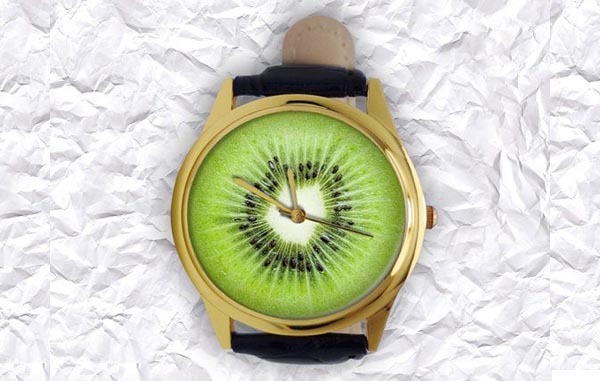 Try your kiwi hours, besides you can see the time, your eyes will be fresh to see it. Do you have a dress that is usual? Try wearing a dress with a different motif than usual. You will appear very attractive and the center of attention, girls. A breakthrough that must be tested. To provide more passion for work, try changing your blazer with a different motif than usual. Formal impression you could still be with this motif. Of the 15 unique outfits with fruit motif at the top, which one would be your choice?